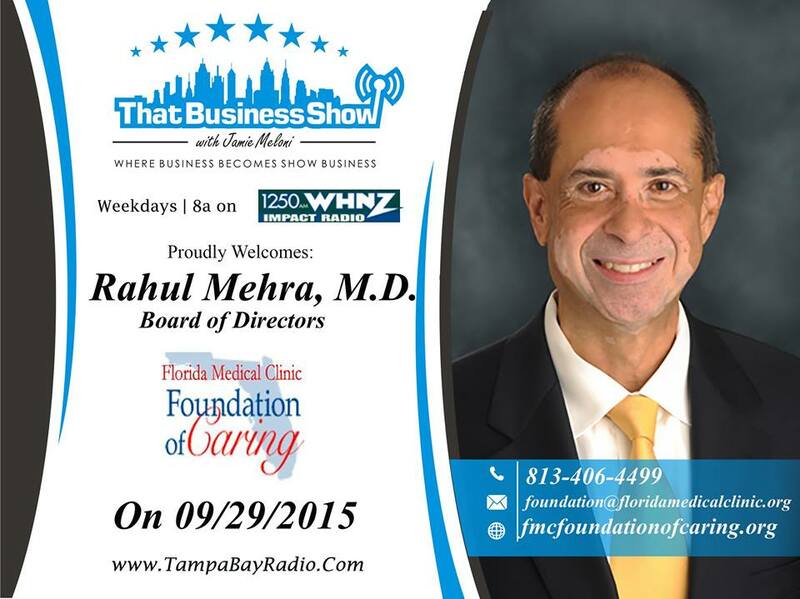 Good morning and welcome to #ThatBusinessShow with your Host, Jamie Meloni! Today is Wednesday, which means it is our favorite day here on the show, #WorkingWomenWednesday! 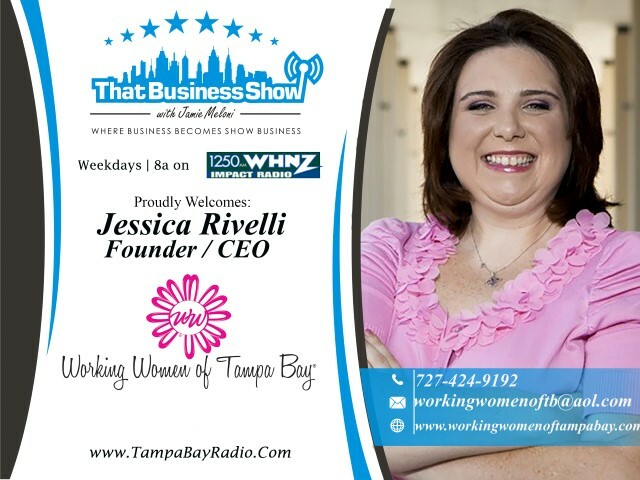 Joining us from the Working Women of Tampa Bay Group was Founder and CEO, Jessica Rivelli! Jessica and Jamie were discussing the upcoming WeWill Tampa Bay Symposium! The Symposium focuses on giving women the opportunity to share wisdom and experiences on how to get more involved in the political scheme, or become stronger leaders. It’s coming soon, and you can find out more about this great event for learning new skills and getting involved in the community at www.wewilltampabay.org! 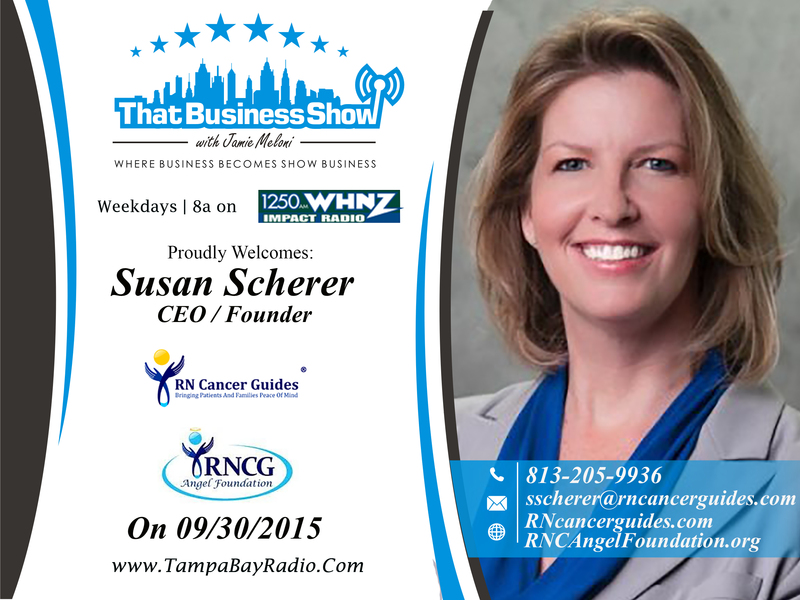 Our next guest on the show was Susan Scherer, an Oncology/critical care nurse is the CEO/ Founder of RN Cancer Guides and Vice President of the RNCG Angel Foundation. We also had Robyn Spoto, an entrepreneur and tenured digital marketing and sales professional. She is the CEO of SpotOn Digital Media, Co-founder of MamaBear App, Co-founder of ThingToBring and is currently leading the Women’s Accelerator forum for Tampa Bay WaVE. We had an excellent discussion today, and if you missed out, go ahead to http://www.tampabayradio.com to listen to the show on demand! You can also head to Jamie’s YouTube Channel at http://www.youtube.com/jamiemeloni! Robyn Spoto is an entrepreneur and tenured digital marketing and sales professional, and she joined us for the last segment of #ThatBusinessShow! She is the CEO of SpotOn Digital Media, Co-founder of MamaBear App, Co-founder of ThingToBring and is currently leading the Women’s Accelerator forum for TampaBay Wave. All that while being the mother of two sons! Quite Impressive! Robyn was recently named one of the top 5 emerging women in tech by Curious Minds! She discussed with us the ventures of SpotOn Digital Media, and the workings of her new apps like MamaBear! You can get those apps on the app store,and you can learn more about Robyn Spoto at http://www.spotondigitalmedia.com! Happy Friday! As we close this great week, thank you for joining us every weekday at 8am for #ThatBusinessShow with your host, Jamie Meloni! Remember that if you couldn’t catch our live show, head over to http://www.tampabayradio.com to watch or listen to any show on demand! You can also head over to http://www.youtube.com/jamiemeloni to see the live stream of any of our shows covering a wide range of topics! Make sure to also check out our guest list, as we have had hundreds of guests from all types of backgrounds! You can certainly find any service you need, all from professionals in our local community! 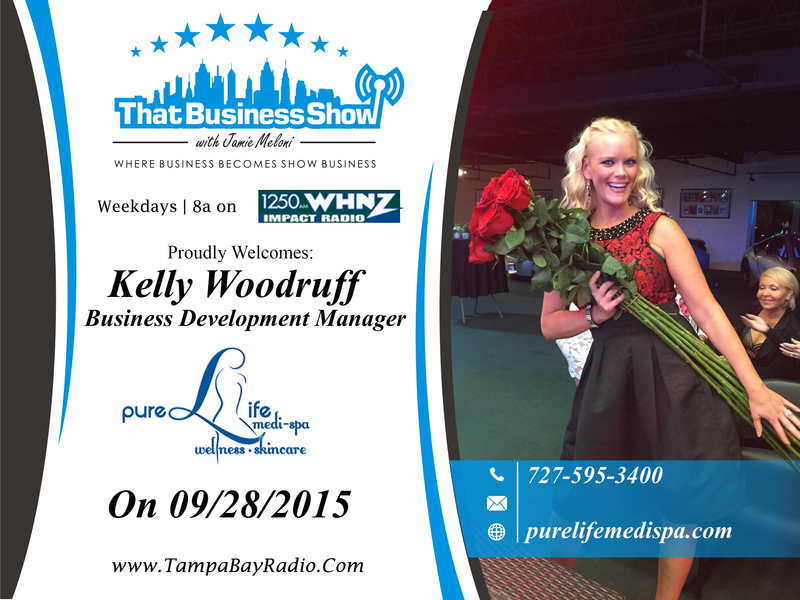 So head over to http://www.tampabayradio.com to support our local entrepreneurs! Today on #ThatBusinessShow, we had Wes Strickland, Senior Vice President of Marketing at Grow Financial Federal Credit Union; and Jim McPeak, Expert Contributor from McPeak Real Estate Firm! The three had a great discussion about real estate, investing, and even some words about sports! If you missed out, you know where to go! 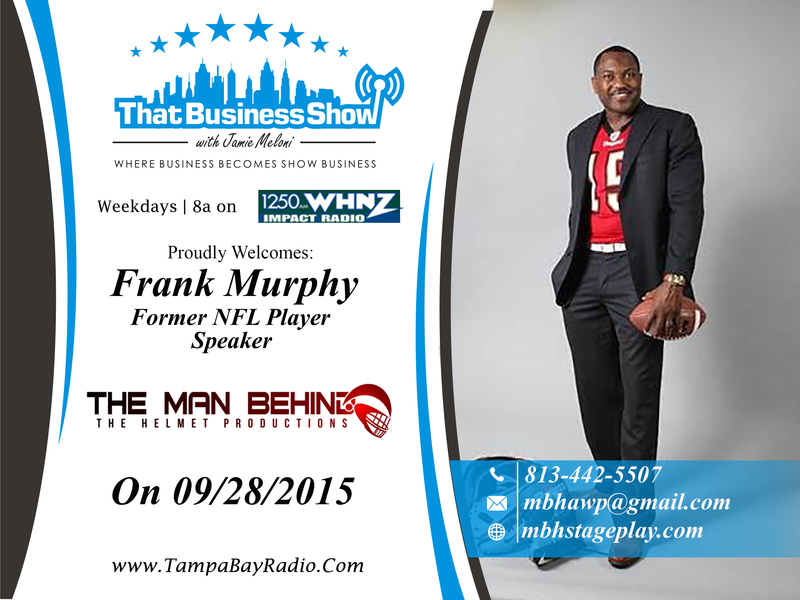 Thank you again for tuning into #ThatBusinessShow every weekday at 8am on #1250whnz! Next, joining Jamie and Jim on #ThatBusinessShow was Wes Strickland, Senior Vice President of Marketing at Grow Financial Federal Credit Union. Wes is an established marketing executive with more than 25 years of marketing experience in both financial services and the software and technology industry. Throughout his marketing career, Wes has been able to lead companies from rudimentary marketing efforts to more sophisticated branding and target marketing by leveraging innovative technologies to drive success. He spoke with us about the future of Grow Financial Federal Credit Union, and how they are moving towards out of state expansion! Through specific marketing re branding, Grow Financial Federal Credit Union has maintained nearly constant expansion. He spoke to us about the nature of a Federal Credit Union, and how it is different from a conventional bank. 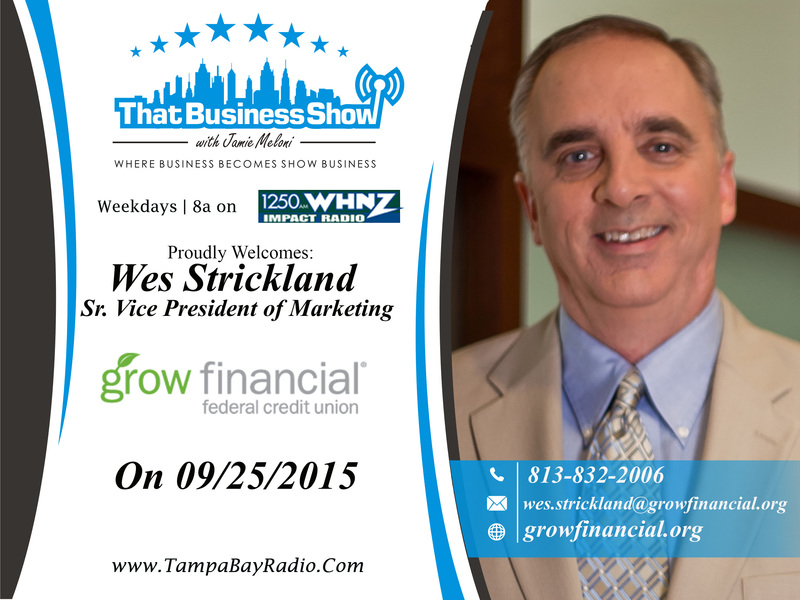 You can learn more about Grow Financial Federal Credit Union and Wes Strickland, Senior Vice President of Marketing at Wes.strickland@growfinancial.org. 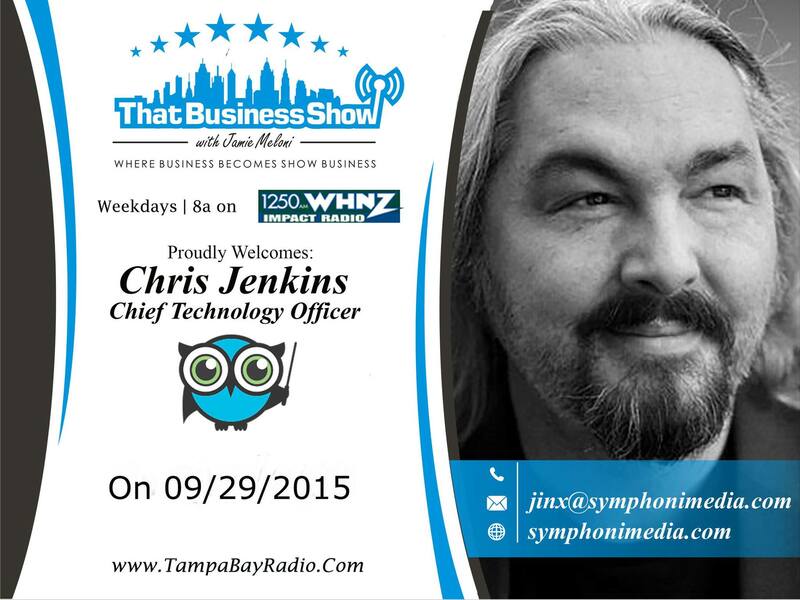 Welcome to #ThatBusinessShow with your Host, Jamie Meloni on #1250whnz every weekday at 8am! Ever been interested in coming on the show as a guest to share your business or your story with our viewers? Drop us a line on http://www.tampabayradio.com, we love hearing from the community! Today, Jamie invited two very interesting guests to speak to our listeners, Expert Contributor Lauren Silva, Financial Advisor with Ameriprise Financial; and Mark Haney, Vice President of Advancement with The Florida Aquarium! We had a great discussion here on #ThatBusinessShow, and if you missed the live session, head over to http://www.tampabayradio.com to listen to any of our shows on demand! Also, you can see all of our past guests and connect to them through the guest network panel! 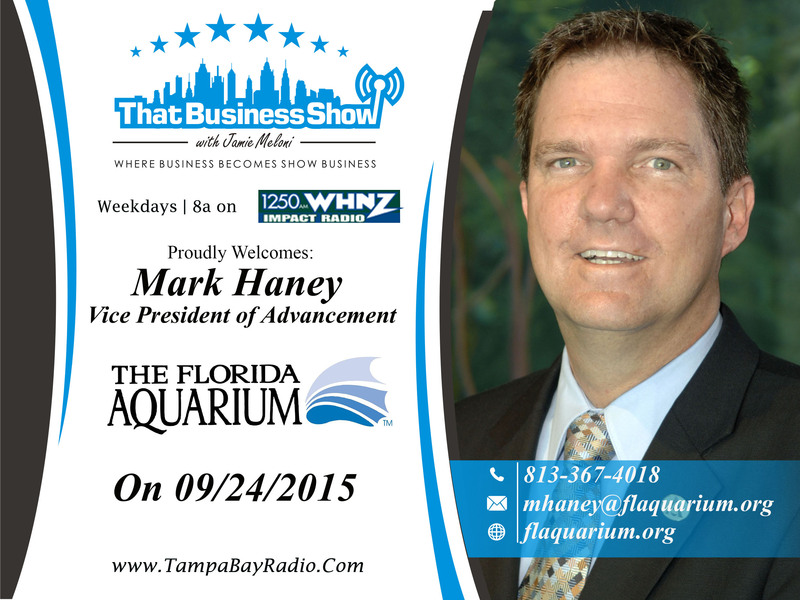 Our first guest here on #ThatBusinessShow with Jamie Meloni was Mark Haney, Vice President of Advancement with The Florida Aquarium. Mark handles all of the fundraising efforts with the aquarium, communicating with individuals and companies that wish to donate to the aquarium and support their efforts to provide a wonderful learning atmosphere to our community! Mark spoke to us about how they are about to break yet another record, of almost 800,000 visitors in this year alone! Celebrating their 20th anniversary, they have raised nearly 15 Million dollars in their Rising Tides Campaign! Their conservation efforts have certainly impacted our local ecosystem, fostering relationships with local industry to maintain clean waters and ensure the continued beauty of Florida’s ecosystem! Mark spoke to us a little about the inner workings of the aquarium, much due to a curious Jamie Meloni about the sharks. Who doesn’t love sharks though? The aquarium has a team of surgeons and state of the art equipment to care for the medical needs of the fish, and Mark mentioned a huge salt water filtering system – all in efforts to make the aquarium a better place for both animals and visitors alike! The Florida Aquarium has been an integral part of our community for the past 20 years, and they will continue to grow and educate our community! So check out http://www.flaquarium.org to purchase tickets and support our community, and learn more about their upcoming events! 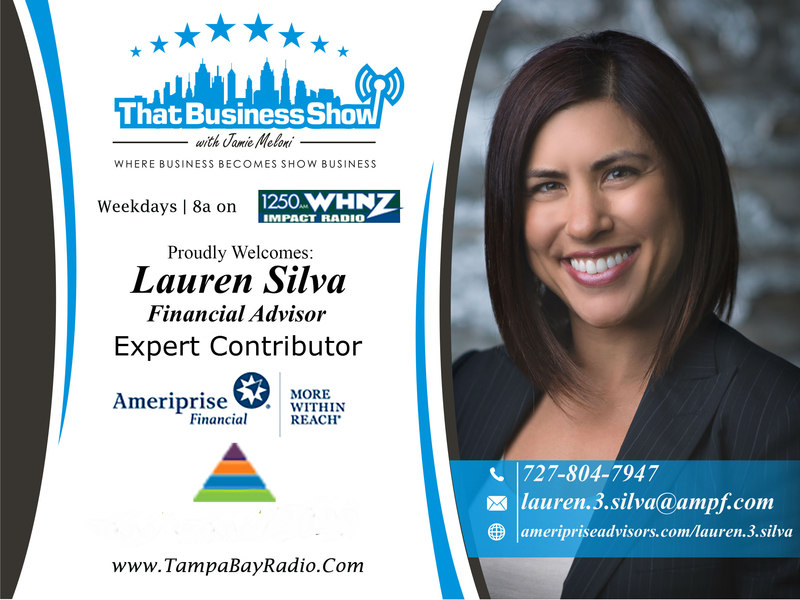 Our second guest on this morning’s episode of #ThatBusinessShow was Expert Contributor and Financial Advior, Lauren Silva with Ameriprise Financial. Lauren is a holistic financial advisor, which means that she believes in the balance of personal and financial wellness,and that the two are intertwined. She spoke to Jamie of how being financially well does have significant impact on your personal health, how it can lower your stress and worry levels, and bring peace to your mind! Which I think we can all agree on is pretty true. Lauren’s focus is a tailored approach per client which focuses on all of the aspects in their life, not just their investment portfolio – giving Lauren a better picture of how to advise the client further to make adjustments that will benefit their future! Lauren isn’t afraid to have the hard conversations needed to really change someone’s financial status – which certainly sets her apart! Lauren and Jamie spoke about her upcoming seminar, “Strong Women, Powerful Financial Strategies” which covers gaining control over your financial situation, and helping women make more informed financial decisions, weighing the risks and managing their investments properly! So make sure to head to http://www.ameripriseadvisors.com/lauren.3.silva to learn more about her upcoming events! You can contact Lauren at lauren.3.silva.@ampf.com. 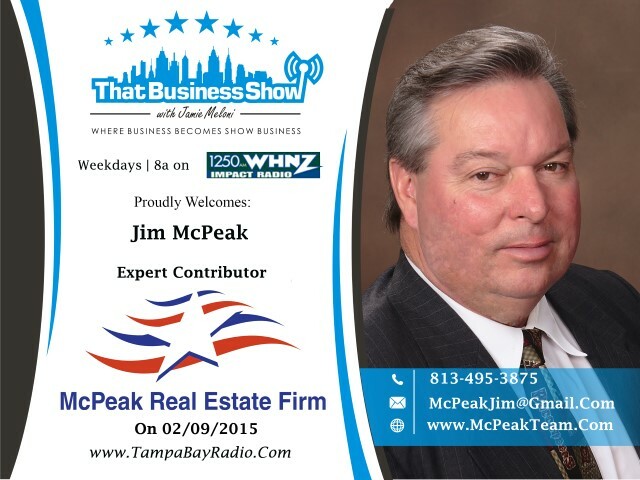 Welcome to our favorite day of the week here on #ThatBusinessShow with our Host, Jamie Meloni! Remember, the show airs every weekday at 8am on #1250whnz or live at http://www.tampabayradio.com! It’s #WorkingWomenWednesday today and we had two wondeful guests from The Working Women of Tampa Bay Group! Sadly Jessica Rivelli, Founder and CEO of The Working Women of Tampa Bay Group could not join us, as she is currently on a well deserved vacation! We really wanted to relay our thanks to her for hosting last week’s #WorkingWomenWednesday. Discussing with Jamie a bit of last week’s happenings, Stella Guidicelli, our lovely Co Host came in today, feeling better and ready for the show! Our Guests today were Ali Brown, Founder and President of Eventions of Florida; and Rachel Revill, the CSO “Chief Solutions Officer” and Owner, of PerfecTiming Concierge. If you missed today’s episode of #ThatBusinessShow with our great guests, head over to http://www.tampabayradio.com or head to Jamie’s YouTube channel at http://www.youtube.com/jamiemeloni! 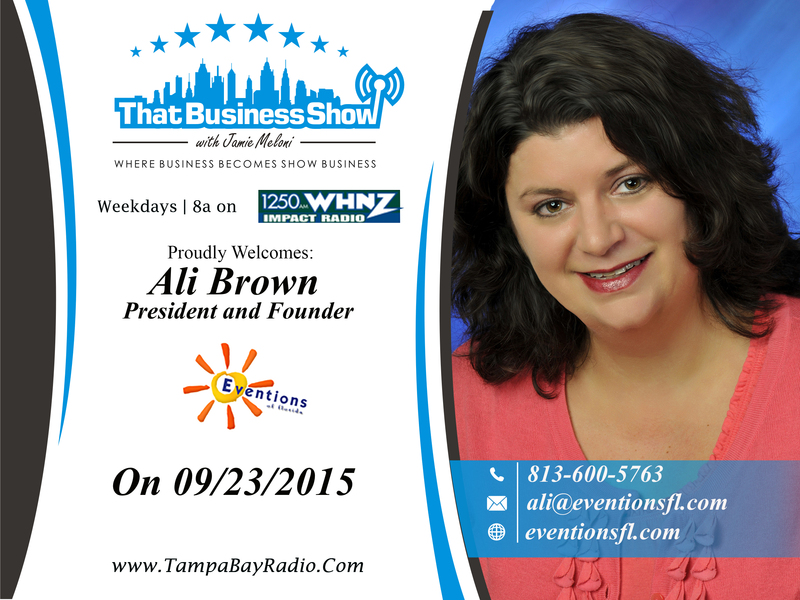 Our first guest on this morning’s episode of #ThatBusinessShow – special #WorkingWomenWednesday edition – was Ali Brown, Founder and President of Eventions of Florida. Discussing with Jamie a little bit about how she got started in the large scale event planning business, Eventions now celebrates 9 years’ growth and expansion throughout Florida. Eventions is a proud member of Hosts Global Alliance, which she told us a little about. Ali loves to give back to the community, working with the Alpha House, and the Center 4 Girls. Ali has produced programs for national citywide conferences with up to 40,000 attendees, multiple Super Bowls, Final Fours, corporate incentive programs, and charity events for non profit organizations nationwide. Pretty impressive! You can find out more about Eventions of Florida and Ali Brown, President and Founder at http://www.eventionsfl.com! 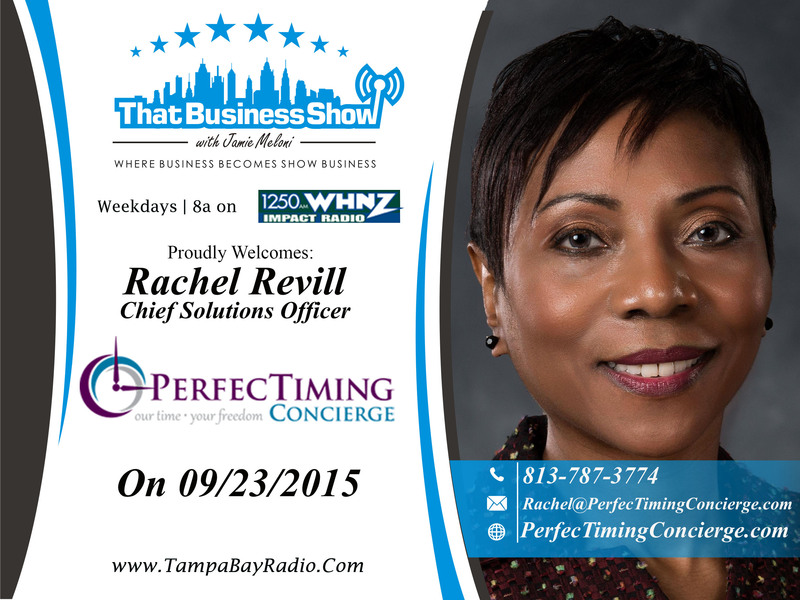 Next up on #ThatBusinessShow with our Hosts, Jamie Meloni and Stella Guidicelli was Rachel Revill, the CSO “Chief Solutions Officer” and Owner, of PerfecTiming Concierge. Since 2004, she has been freeing up time, providing peace of mind, bringing order to chaos, and increasing productivity in her client’s lives. She discussed with us how she literally enhances people’s lives by doing the things that are hard for the client to keep track of, or to just make their lives easier, and in the process develop a trust into PerfecTiming Concierge. PerfecTiming Concierge would involve themselves in your life with trust and faith that they will carry out your request with precision, whether that request be arranging a limo for a dog, or just making dinner for your family while you cook. An extra helping hand is always welcome! After telling us a couple of entertaining stories, Rachel spoke to us about how PerfecTiming Concierge really helps people obtain the peace of mind and the quality of life they want. When we “try to do it all”, PerfecTiming Concierge is there to lend a hand! Contact PerfecTiming Concierge at http://www.perfetimingconcierge.com or email Rachel at rachel@perfetimingconcierge.com!